The Flinders Ranges are the largest mountain range in South Australia, which starts approximately 366 km (227 mi) north of Adelaide. The discontinuous ranges stretch for over 430 km (270 mi) from Port Pirie to Lake Callabonna. We towed our caravan through part of the Flinders Ranges while driving from Port Augusta to Peterborough in South Australia. The road is quite good but can be very steep with hairpin bends, so take your time. This is only a very small part of the Flinders Ranges and we hope to have more time to explore this ancient landscape on our next adventure. Wilpena Sound - where erosion over millions of years has created a natural ampitheatre surrounded by ancient mountain ranges. Pichi Richi Pass the most scenic part of the original Ghan railway to Alice Springs. Explore the Birdsville or Strzelecki Tracks - 4WD. Lake Eyre - magnificent in flood. Walking trails like Mount Remarkable National Park trails - near Wilmington in the southern Flinders Ranges; Devil's Peak trail; Jarvis Hill trail and lookout with panoramic views of the Central Flinders Ranges; Castle Rock lookout etc. There seems to be so much to see in this beautiful area. 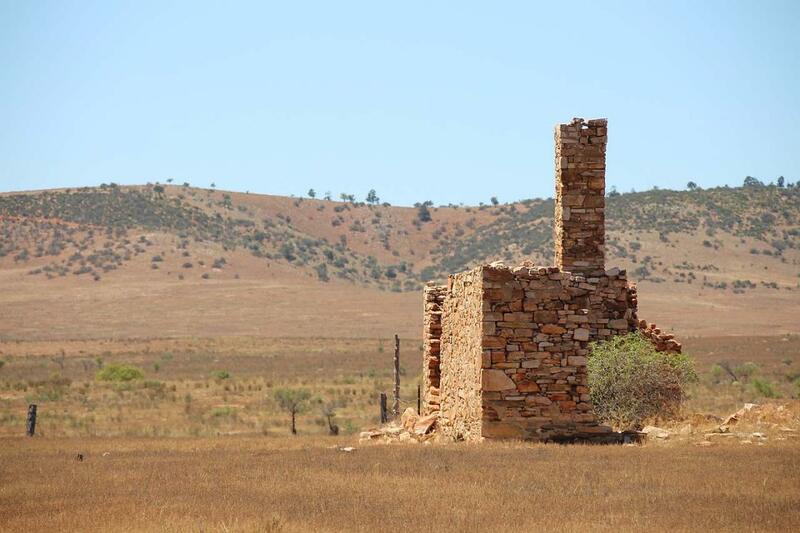 have you been to Flinders Ranges? Explore Flinders Ranges with RvTrips and find out where to stay, what to do and what to see. Helping caravan, motorhome and camper owners have a great holiday.